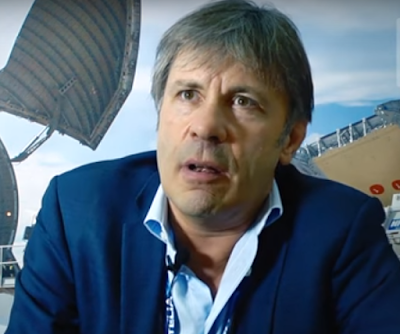 MetalRockNews: Iron Maiden's Bruce Dickinson about aviation business: "This is just an enormously exciting time for us"
Iron Maiden's Bruce Dickinson about aviation business: "This is just an enormously exciting time for us"
Iron Maiden's Bruce Dickinson was recently interviewed by Farnborough International Airshow, you can read some excerpts below. About how he would summarize his first few years in the aviation business, Dickinson said: "I think this is just an enormously exciting time for us. We've gotten two and a half years from zero, and after two and a half years with nothing, with not a single penny of government money of any description, going into this business, we've got a full-service MRO with all Boeing and all Airbus narrow-body approvals, with Part 21 design and manufacturing waiting in the wings. We've got an airline up and running, which should be profitable within the first six weeks. We've got a training company that's gonna start turning out type ratings and cadets, and is already doing training for major airlines. And, on the side, I'm a shareholder in Hybid Air Vehicles and I'm waiting to see this astonishing airplane back in the skies. So that's enough for me to lie awake at night and pinch myself and go, 'How'd we do all this?'"